Financial planners will have to start contacting hundreds of thousands of customers and ask them if they want to remain clients from mid next year if the Senate votes to a return to Labor's financial advice laws. Unravelling the Coalition's regulations could also put planners at risk of breaking consumer laws, and threaten legal agreements between advice businesses, the industry says. As Labor and crossbench senators vowed to scrap the Coalition's rollback of Labor's Future of Financial Advice (FOFA) laws on Wednesday, the advice industry reacted furiously, claiming it would be thrown into disarray and face million of dollars in extra costs. If the government's regulations are disallowed, previous legislation passed by the Gillard government would come into force. These laws include a requirement for clients who signed up after July 2013 to "opt-in" every two years; a broader duty for advisers to act in clients' best interests; and tougher restrictions on payments from the makers of wealth products to advisers. 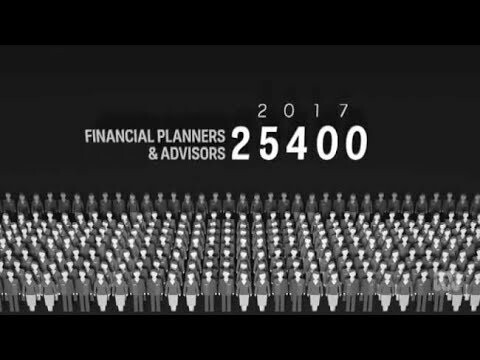 The chief executive of the Association of Financial Advisers, Brad Fox, said there had been hundreds of thousands of new clients since July last year who would have to be contacted under the "opt-in" rule. "It means financial advisers would need to have all clients who joined them after July 2013 opt-in every two years to stay a client," he said. As well, advisers would have to provide retrospective fee disclosure statements to hundreds of thousands of clients who signed up before July 2013. This has been required for all new clients since mid last year, but Mr Fox argued it had been ineffective. He cited an example of one adviser who sent out 1300 fee disclosure statements, which only led to seven inquiries from clients, several of them unrelated to fees. "The evidence so far is that clients are not valuing this report. It's not causing them to take any action and it's repeating information they already receive in other statements." The chief executive of the Financial Planning Association, Mark Rantall, said many practices would not have the systems in place to comply with the rules on disclosure of fees and "opt-in." "It will create chaos amongst many practices," he said. The Coalition's rollback also allowed trailing commission books to be traded between financial planning practices. If this were reversed it would jeopardise contracts between planning businesses, he said. Financial Services Council John Brogden also said the senators' motion would create a "legal quagmire" and lead to millions of dollars in extra costs. In contrast, consumer groups supported the Senate's move as a win for customers. A legal adviser to National Seniors, Paul O'Shea, said Labor's FOFA reforms had been law since July 2013 and there had been ample time for the industry to prepare itself. He argued the government's move to roll back Labor's rules through regulations when it did not have the Senate support to pass legislative amendments was the cause of the uncertainty. "It's possible to say the government has created the uncertainty," he said. Some within financial services are supportive of the changes. Jan van der Schalk, financial services analyst at CLSA, said it was important to "restore faith" in the industry. "All of this is part of restoring the fortunes of superannuants in Australia. Especially in light of what's coming out around mis-selling with CBA, it's a good thing to have financial advisers as strictly regulated as possible," he said. Industry Super Australia chief executive David Whiteley argued the changes would restore "iron-clad" rules on sales incentives to advisers and their obligation to act in clients' best interests. "Consumers want financial advice that is impartial and unequivocally in their best interests. The current advice laws do not deliver this and have left the reputation of the advice industry in tatters," he said. 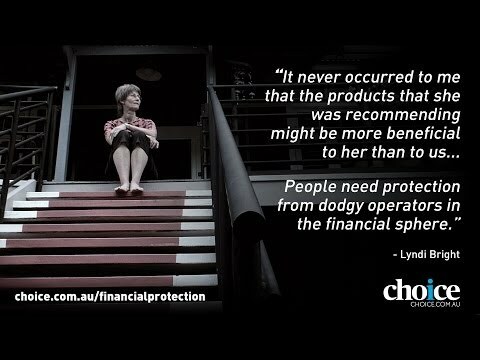 The Commonwealth Bank, Westpac, National Australia Bank and ANZ did not comment. A spokeswoman for AMP said: "Ultimately this is a matter for the Parliament to decide and we will work to whatever that outcome is."